New from Bloch, the Troupe Dance Sneaker is a lightweight shoe recommended for all forms of dance, fitness exercises, color guard, and other activities. The Troupe is constructed with a non-marking split sole that features a full, 360 degree metatarsal spin spot for effortless turning. 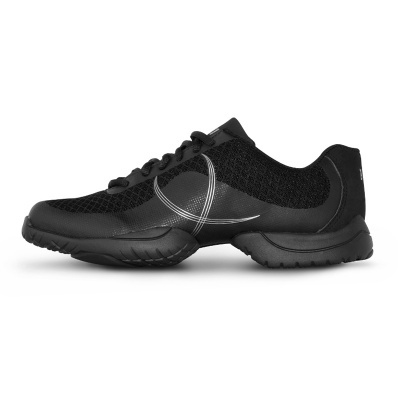 Also included is a DRT cushioned heel for shock absorption and comfort, with built-in arch support and elevation. A very versatile and comfortable dance sneaker! The Bloch Troupe Dance Sneaker is available in Adult sizes 4-14. Ladies should begin with street shoe size. Men should order two sizes up.